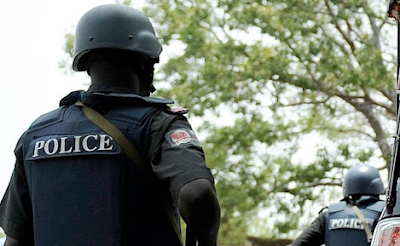 A N20 argument between two rank and file policemen in Madagali Local Government Area of Adamawa State has claimed the life of one of them, Sergeant Emmanuel Timothy, who was recently deployed from Mobile 13 Makurdi, Benue State to Adamawa State. The state’s Police Public Relations Officer, Superintendent Othman Abubakar, said a minor argument ensued between Sergeant Emmanuel Timothy and Corporal Bala Adamu, who reportedly shot Timothy at close range, killing him instantly. Abubakar confirmed that full investigation into the incident has commenced, even as the killer-policeman has been arrested, while the corpse of the late Sergeant has been deposited at the Specialist Hospital morgue in Yola. Meanwhile, a resident of Madagali said the two policemen engaged in a heated argument at a local drinking joint, when the incident happened. According to the resident, the late Sergeant had a misunderstanding over N20 change meant to buy local liquor, popularly known as Ogogoro. The incident threw the communities around the joint into confusion, as many residents took to their heels on hearing the gunshot, thinking that it was Boko Haram terrorists that invaded the area.